50th Reunion Reservations are open! 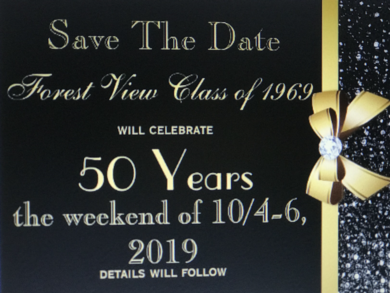 Please see the three tabs to the left: FVHS Class of "69 50th Reunion, Hotel Reservation Link for 50th and Help a Classmate to Attend. In those three tabs you will find all the information you need to register, make reservations and buy tickets for our big 50th reunion. A couple of the events are space-limited and we hate for anyone to miss out so buy your tickets or make your reservations as early as possible. And we ask that you share this far and wide; we need to find more of our classmates! When the first high school building was built in 1922 for Arlington Heights to accommodate its' 101 high school kids, thoughts did not comprehend the immense future growth the town would have. By the late 1950s, the high school-aged population had grown to well over 2000 students. Plans were soon made to build a new high school to relieve the pressure on the many-times expanded Arlington High School. 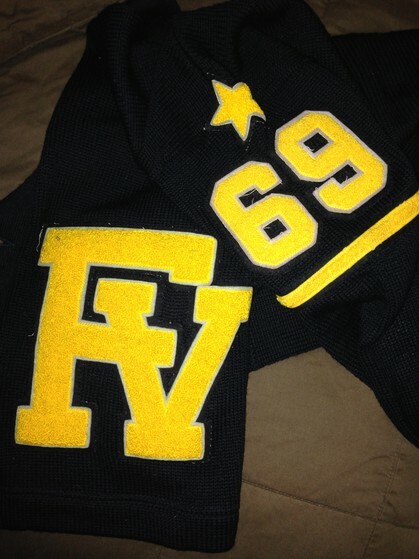 In 1962 Forest View High School was created. Forest View High School served the community for nearly 25 years. It was in the mid 1980s that talks of now-decreasing enrollment led to the closure of Forest View High School in 1986. Kids who attended Forest View High School in 1986 were given the choice of attending Elk Grove, Prospect, or Rolling Meadows high schools. 5. Forest View Alternative School (Special Ed students). School Team nickname: The "Falcons"
School Fight Song: "Fight for Forest View"